An international group of scientists led by the University of Granada (UGR) has demonstrated that the long-term intake of sunflower or fish oils damages the liver and can cause a series of alterations in it, giving rise to non-alcoholic steatohepatitis (NASH). Of the three dietary fats studied (olive, sunflower and fish oil), virgin olive oil was ranked as the dietary fat source that best preserves the liver during the ageing process. NASH, which causes inflammation of the liver that is not caused by alcohol abuse, is a very serious condition and can act as a catalyst for the onset of other diseases such as cirrhosis and liver cancer. Its prevalence in the general population increases with age: it affects 1% to 3% of children, 5% of teenagers, 18% of those aged between 20 and 40, 39% of those aged between 40 and 50, and more than 40% of those over 70. The research, recently published in the prestigious Journal of Nutritional Biochemistry, analyzed how the long-term consumption of different dietary fat sources such as olive, sunflower and fish oil affects the liver of rats. UGR researchers conducted a series of comprehensive analyses, including studies of pathological anatomy, ultrastructural analyses using electron microscopes, sophisticated bioenergy techniques, telomere length measurements, and oxidative stress. They also conducted a comprehensive study of the liver genome in order to establish how it evolved in line with the consumption of the different oils. “The research demonstrates that fat accumulates in the liver with age, but the most striking finding is that the type of fat accumulated differs depending on the oils consumed and this means that, regardless of this accumulation, some livers age in a healthier way than others and with a greater or lesser predisposition to certain diseases,” said José Luis Quiles Morales, UGR’s full professor of physiology. Three dietary fats (virgin olive oil, sunflower oil and fish oils) were studied and virgin olive oil was shown to the best of the three for preserving the liver throughout life. The research also revealed that sunflower oil induced fibrosis, ultrastructural alterations, gene expression blockades and high oxidation. Meanwhile, fish oil intensified oxidation associated with ageing, lowered mitochondrial electron transport chain activity and altered the relative telomere length. Telomeres are the ends of chromosomes, the shortening of which can cause cell ageing and the lengthening of which can cause cancer. 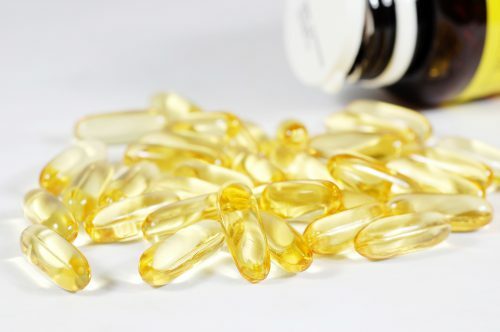 “The alterations caused by the long-term consumption of sunflower and fish oils make the liver susceptible to non-alcoholic steatohepatitis, a very serious disease that may act as a catalyst for other liver diseases such as cirrhosis and liver cancer,” said Quiles. Researchers from other institutions, such as the Hospital Complex of Jaen, the Marche Polytechnic University (UNIVPM) in Ancona, Italy, the Pfizer-University of Granada-Andalusian Government Centre for Genomics and Oncological Research (GENYO) and the National Cancer Institute (NCI) of the United States, have also participated in this research project.